The Rockland’s academic program is a combination of Montessori (child-directed) and Traditional (teacher-directed) curriculum. 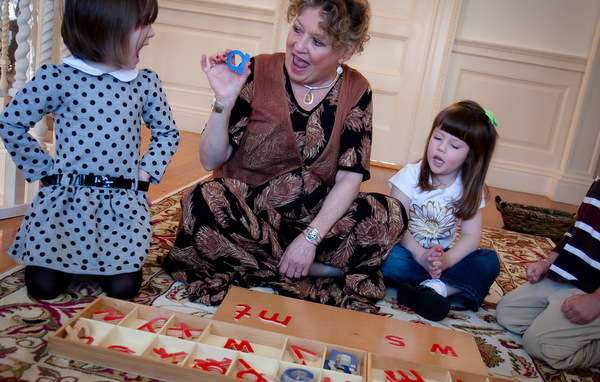 Through exposure to both methods of teaching, our students benefit from the strengths of the excellent Montessori method, and also learn the skills they need to succeed in a traditional elementary classroom. 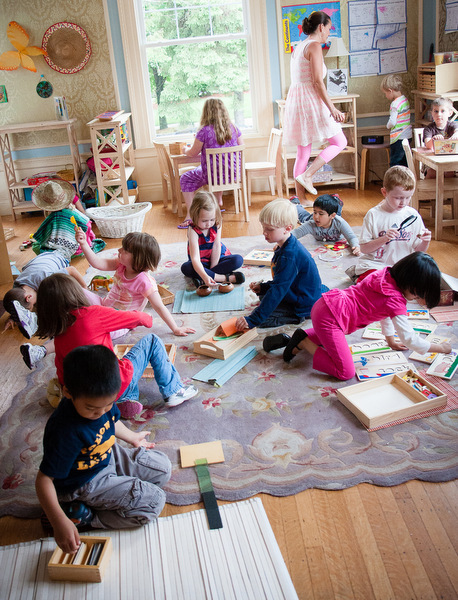 [/checklist] The Montessori curriculum gives children the independence they desire and need to develop. 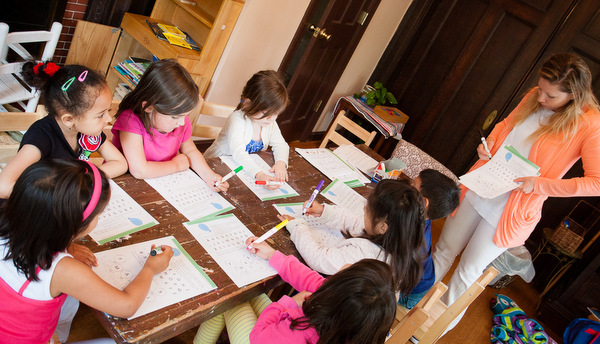 Each of our Montessori classrooms is a prepared environment, a room stocked with carefully selected materials that have been tested and proven by generations of children. During Montessori activities, our students develop self-discipline, learn to concentrate and exercise their will through sustained, purposeful work of their choice. Our teachers draw their traditional curriculum from a variety of preschool guides, manuals, and early skills program activities. Several of these materials are located in our office for your perusal. Our curriculum focuses on a “whole language reading program”, one which consists of games, dictation, tracing, pocket charts and big books. The objective of a whole language program is to make the connection for a child that PRINT is nothing more than SPEECH “written down”. It is a wonderfully fun and logical way for a child to be introduced to a reading readiness program. In addition to reading and books, our curriculum also includes counting, numbers, math manipulatives, art, music, science projects, cooking, singing, holiday crafts, computers, and calendar and weather charts, just to mention a few.